Redid two works of mine, that one was a pain before and was a pain today. 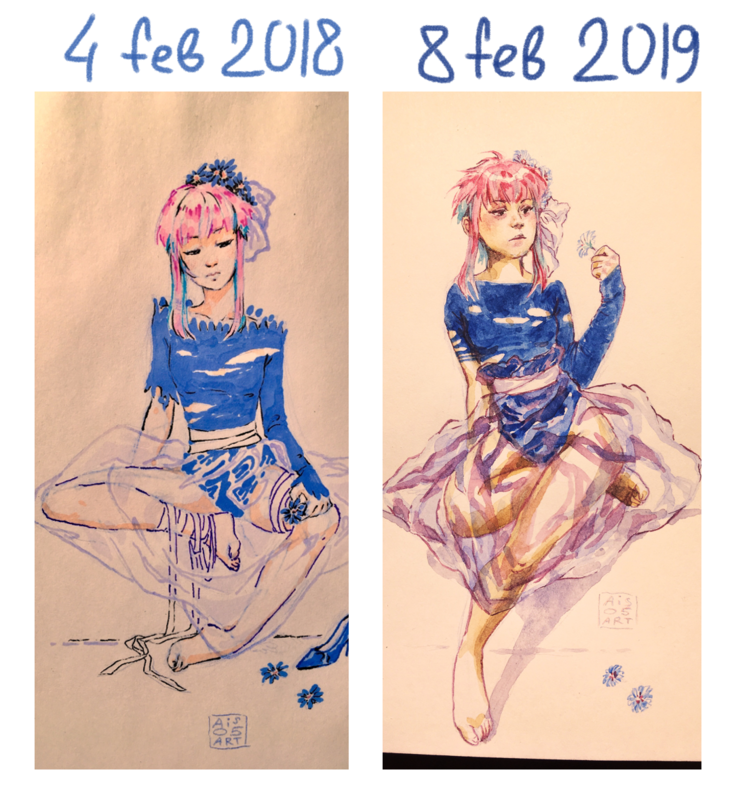 2018 - markers, 2019 - aquarelle. 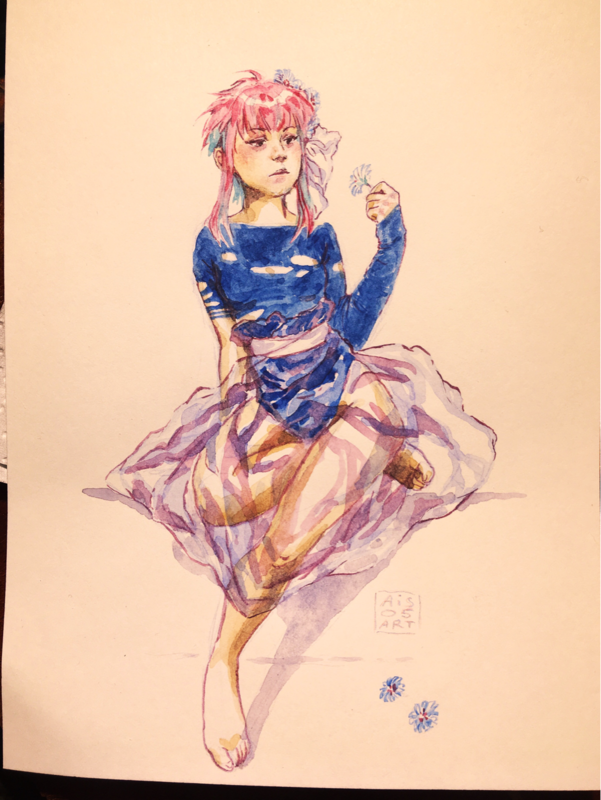 Watercolors are clearly hating me for something. I know, there&apos;s lots of awful mistakes and it looks weird, but I wanted to see what I have learned. @ais05 Love the facial expression in the 2019 rendition!